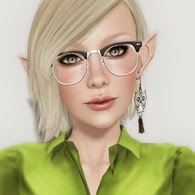 Now I try something new, I always thought it's fun to blog because there are so many lovely, cute and interesting things in SL... so I'll give it a try. As you may know my first language is not english so I hope you excuse all my mistakes. I grabbed my new camera and took some shots. It's really fun and it reminds me a lot of my RL when I walk around and take photographs. 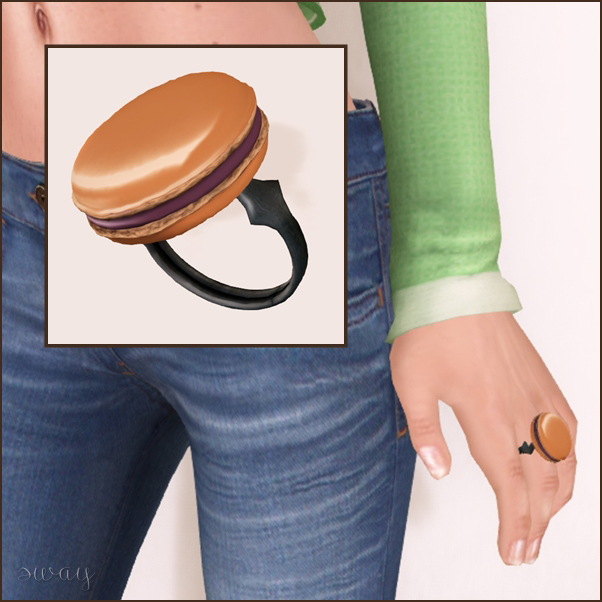 Then I took a closer look to this cute or better I say 'yummy' ring. It's from the Arcade Gatcha event. Well, I go on with taking photos for the next post. I welcome suggestions, criticism and tips. Let me know what I can do better. Love it Sway, really and truly! So excited to see what you come up with next! That was a happy entry for your debut as a blogger! Just remember... have fun, and don't take the title of "Blogger" too seriously. Oh, and I love the pics you shared! Yay! Welcome to the fashion blogging addiction!